Today we updated both iOS and Android versions and will begin to push these new updates to the stores. 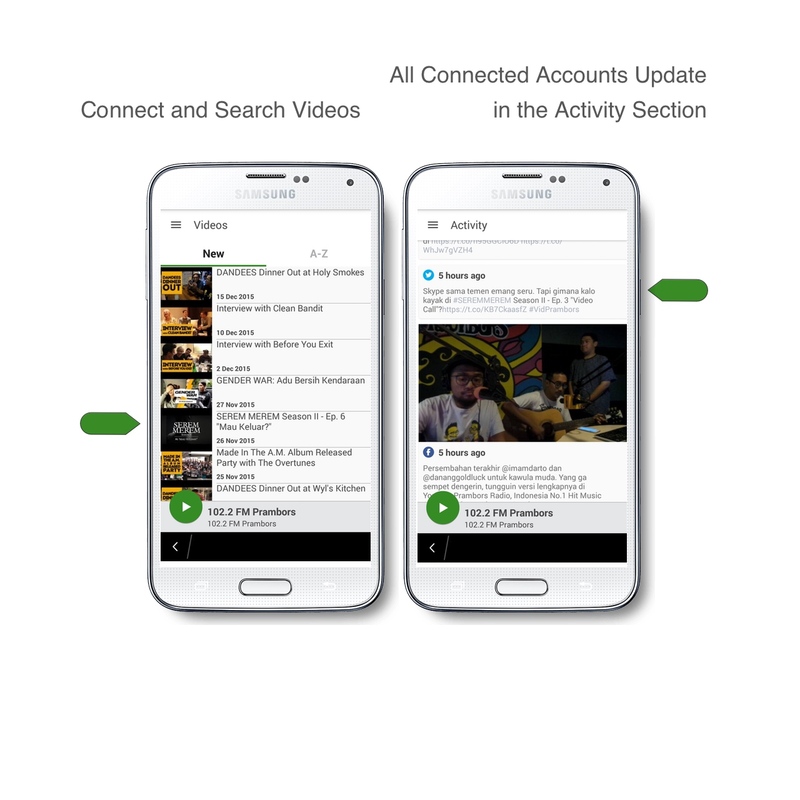 The new Android have specific stability issues that were fixed: including stopping stream playback when the app is closed by various means; automatically attempts reconnecting to stream after dropped. We now have over 100 apps live on the Premium app! Congratulations to all the stations that are hitting that exciting streaming benchmark. For those of you who don’t know – when your station streams over 1,000 hours in a month through the app, your app automatically qualifies to be upgraded to Premium. So what’s the big deal with Premium? Well, let’s walk through some of the cool features that you get when your app goes Premium. You might already be familiar with the features in the app, so we’re going to focus on the changes in the Partner Dashboard. Custom Tiles: These are a great way to keep your app looking fresh and constantly updated. The Custom Tiles make up the lower portion of the new home screen. These tiles automatically draw content from your connected Content Accounts like Twitter, Facebook, YouTube, Instagram, SoundCloud, Podcast, and more. You can also create tiles that link to URLs that you provide. So, link to your station schedule, request page, DJ profiles, another station you are partnered with, contest pages – options are limitless. What’s great about the tiles is that you can create them and change the order any time. Just update and save – Presto! The app updates itself on the fly and your content stays fresh. Push Notifications: Instantly send a message to all users on the app. It’s a great way to remind listeners who aren’t currently connected that your afternoon show is about to start, or that you’re dropping a new track and they should tune in! And when a listener “Likes” a playlist item in the app, it’s added to their Favorites. 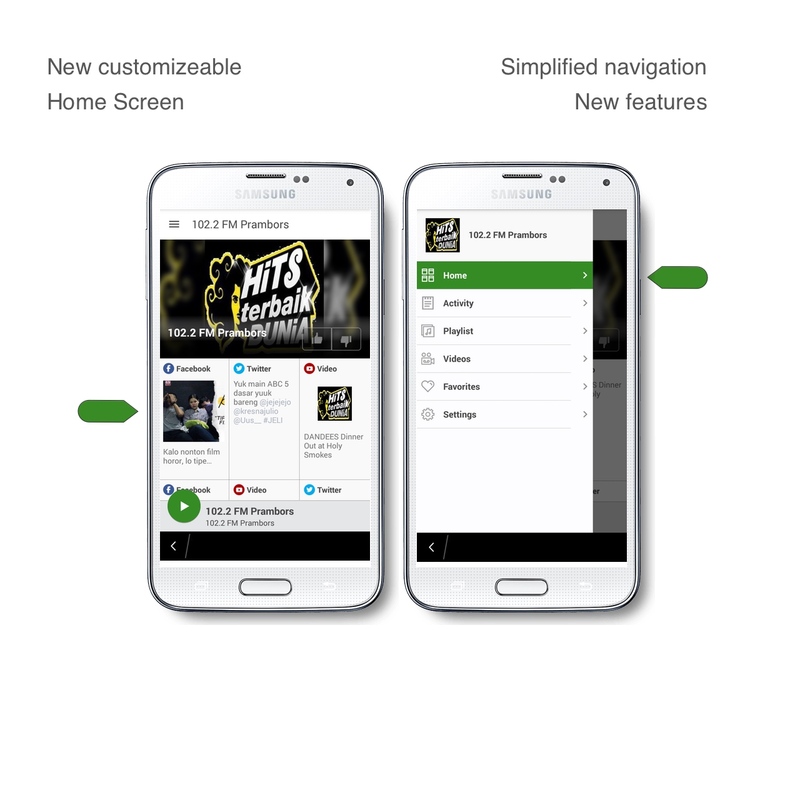 The app with automatically send them a push notification when any items from their Favorites list are playing again. This is a great re-engagement tool and keeps listeners coming back to the app. Premium Reports: It’s great knowing how many users have downloaded your app, and really handy to see how many minutes you’re streaming. But with Premium reporting you’re going to see what your listeners are loving about your playlist – and what they’re not. The apps gather data about how each listener interacts with it. Premium reports aggregate that data and create custom charts for your station showing Top Songs (most listeners tuned in), Top Songs Engaged (listeners turned up the volume, stayed longer, brought the app to the front, shared socially), and Turn Off Songs (these are losing listeners for you). Keep your playlist fresh and engaging for your listeners by getting real time feedback from the app. When you want even more detail check in with the Playlist Performance reports. Each track gets a score how many listeners were engaged, how much it was interacted with, how many listeners switched off. Each dot in the Engagement chart is a song played in the last 30 days, ranked by how many plays it got and how engaging it was for your listeners. In the Detailed view there is a bubble for each time the song was played, the size of the bubble indicates the number of listeners during that play, the X axis is the date, the Y axis is the Engagement Score – hint, you want your bubbles to be big and floating to the top! So those are the Top 3 awesome changes that come with Nobex Partners Premium. Your station automatically qualifies for an upgrade to Premium when you stream 1,000+ hours in a month – but if you’re ready for Premium now you can subscribe for $90/m until you reach the streaming benchmark. Check out your station’s Account Tab for details on Premium Subscriptions. Stefan, Hot Dance Radio: Hi! App looks beautiful! Carlos, Rádio MPB: Adorei esse novo aplicativo. Andy, SkaSpot Radio: I like the new feature with the feeds showing up on the player page. Since I tweet and FB the tracks that are being played, this is very helpful. Ernesto, DRIVE Radio: I’m very happy, and our listeners too, so I think the new dashboard it’s very great and ergonomic, thanks for your work! Haydon, Radio Sidewinder: Yes really liking the new app and new dashboard. Thanks.